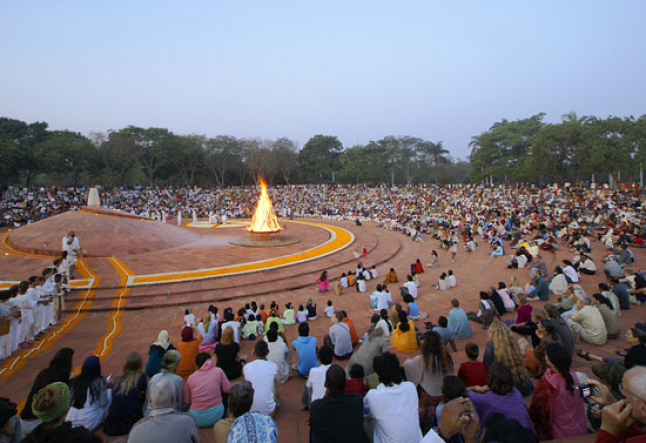 Auroville is located in Southern India in the State of Tamil Nadu near Pondicherry. This town was founded as a project of the Sri Aurobindo Society in 1968 by Mirra Alfassa, "The Mother". The Mother was the spiritual companion of Sri Aurobindo, she believed in the "progress of humanity towards its splendid future by bringing together people of goodwill and aspiration for a better world." In 1966 UNESCO and the government of India endorsed the township of Auroville- insuring that Auroville belongs to no one in particular but to humanity as a whole. 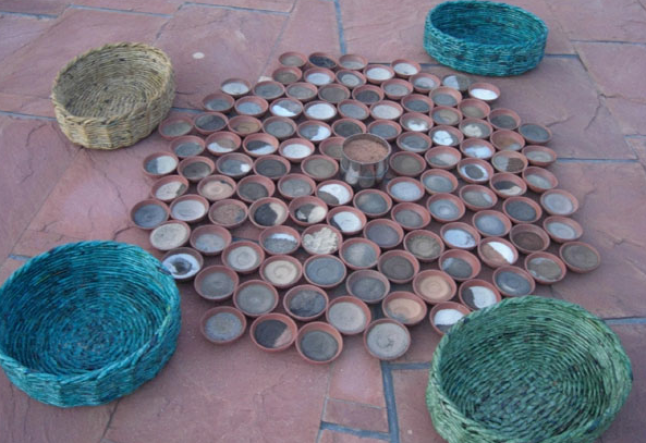 In February 1968 delegates of 124 nations and 23 Indian States gathered to place soil from each place into a marble urn. This was the beautiful birth of a town and an experiment that like any other would face its own set of challenges. Auroville wants to be a universal town where men and women of all countries are able to live in peace and progressive harmony, above all creeds, all politics and all nationalities. The purpose of Auroville is to be a site of material and spiritual research for a living embodiment of an actual Human Unity. To live in Auroville one must be in willing service of divine consciousness. There is an energetic flow in Auroville that brings you into presence, peace and purpose. 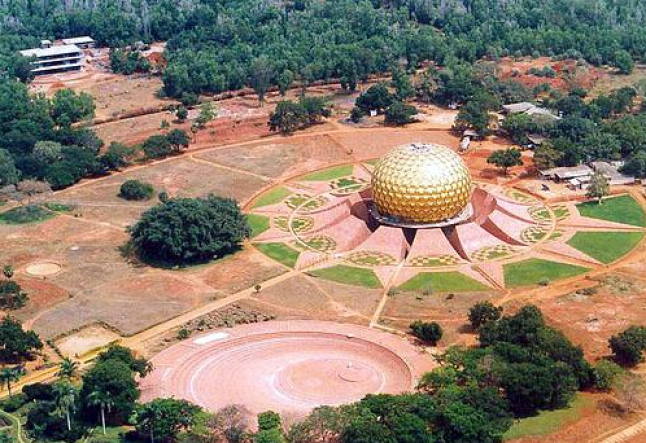 Matrimandir is the golden center of Auroville. Auroville is meant to create heaven on earth and Matrimandir is the sun, the soul of this town. “The inner chamber is a place for trying to find one’s consciousness.” – The Mother. 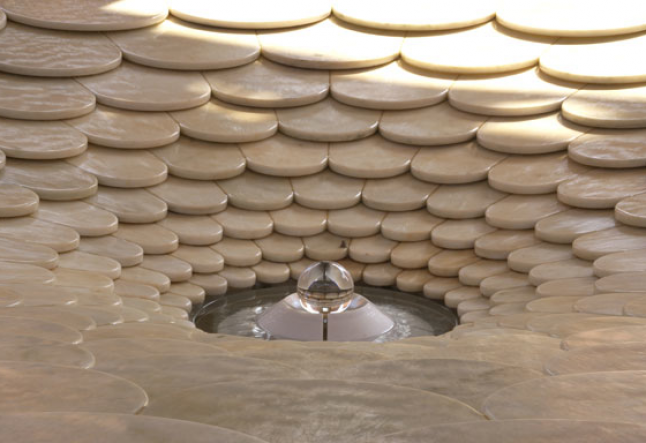 Matrimandir is the force that unites the supreme truth of Auroville. The park of Unity that surrounds Matrimandir, is divided into twelve gardens that represent the twelve states of consciousness. The twelve large petals around the golden globe are meditation rooms that appear to be a lotus blooming. Each petal is named after a Virtue or Quality: Sincerity, Humility, Gratitude, Perseverance, Aspiration, Receptivity, Progress, Courage, Goodness, Generosity, Equality and Peace. Having the opportunity to meditate in the inner chamber and petals is truly one of the most blessed experiences. There are rules for being able to enter the inner chamber and you have to take a tour first. If you only stay a few days in Auroville make sure that you make a reservation to take the tour of Matrimandir right away, so you do not miss the soul of Auroville. As you ride your bicycle or motorbike through Auroville you will see that each small community of houses has its own name: Grace, Sincerity, and Aspiration to name a few. This is a place where you literally see spirit everywhere. It is a town designed specifically for spiritual evolution into Oneness. People still come from all over the world to live in Auroville and many of them do not practice yoga or meditation, are just drawn to live on this land and work in the forests or teach in schools. You can feel the deep soul connection that people have to Auroville and you can feel the love that they put into the land. The diversity of trees and plant life is truly remarkable. Auroville started as a desert and now has the feel of a tropical forest; this is what happens when you create something with love. 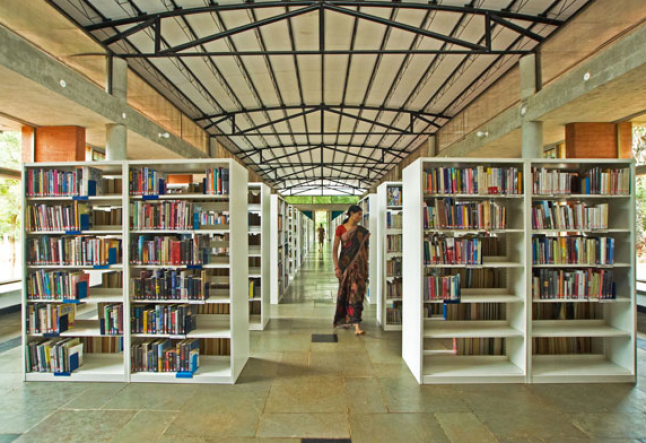 There are many magical places to discover within Auroville. Being it is a site for Spiritual evolution you will find classes in the Auroville weekly ranging from yoga, meditation, tarot card readings, dancing - the options are vast. Heaven on earth can only be created in a certain level of consciousness. If you see that all is light, then you are enlightened. Not everyone in Auroville has reached the space of realizing human Unity. What is life other than an effort to rediscover the love and radiance that we all are on a deeper level? Let's thank Auroville and all the beautiful Aurovillians for holding space for loving acceptance and unity on this planet.